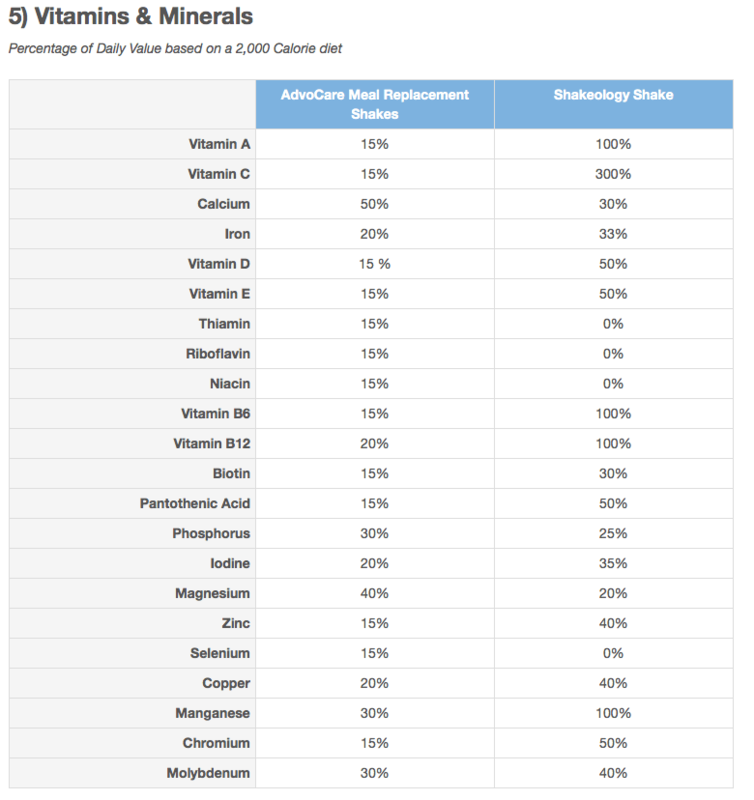 After comparing Shakeology to Herbalife’s Formula 1 , it got me curious on how Shakeology stacks up to other meal replacement shakes. I recently have heard some talk about AdvoCare’s Trim Meal Replacement Shakes. I know AdvoCare has been around awhile, but the only product I knew was their Spark energy drink. I knew they did other products geared toward sports, but didn’t really think of them as a nutrition or weight loss company. It’s funny because they are a company geared toward nutrition, energy, and weight-loss. Again we see that Shakeology is more expensive, but not by much. The retail price of AdvoCare Trim MRS is $44.95 for 14 servings. This comes out to about $3.21 a shake. Shakeology’s cost comes out to $4 a shake. So by going with AdvoCare Trim MRS you could save a little bit of money. I believe that Shakeology hands down has the better nutrients in it. Both are pretty good and offer a lot, but Shakeology has less fat and sugars as well as fewer calories. The calories aren’t that important because both are less than an average meal. AdvoCare Trim MRS does have more protein but also has more carbohydrates. The carbohydrates combined with the high sugar is not really a good thing for a health shake. Looking at the nutrients each one provides shows that Shakeology definitely is the more nutritious shake. It just provides more nutrients and in higher quantities. I think this is a really important factor when deciding which shake is best for you. Also since Shakeology uses all natural sources, you know exactly what you are putting into your body. 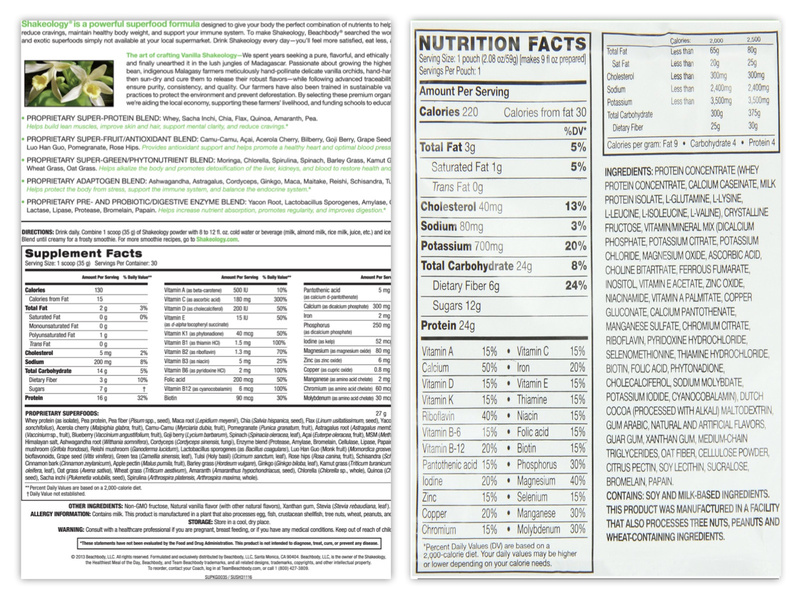 You can do a comparison yourself by looking at the nutrition label of each. Here is a side by side comparison of the nutrients in Shakeology vs AdvoCare Trim MRS.
AdvoCare is a multilevel marketing company which sells nutrition, weight-loss, energy and sports performance products. The company has been around since 1993. They sell a variety of products in this space. They concentrate more on the supplement side and don’t offer any workout programs. Again I love that Beachbody is a company that has products and offerings for both nutrition and workouts. I believe that to really succeed and keep the results, you have to make a full lifestyle change that includes what you eat in addition to how much activity you do. Even though I think the AdvoCare Trim MRS is a pretty good quality product that people could benefit from, I still believe Shakeology is even better. Shakeology just has too many areas where it excels. In my research I still haven’t found a shake that would sway me away from Shakeology unless money was an issue. If you are on a budget and just can’t afford it, then I completely understand. Doing something is better than doing nothing.